Game over, man! 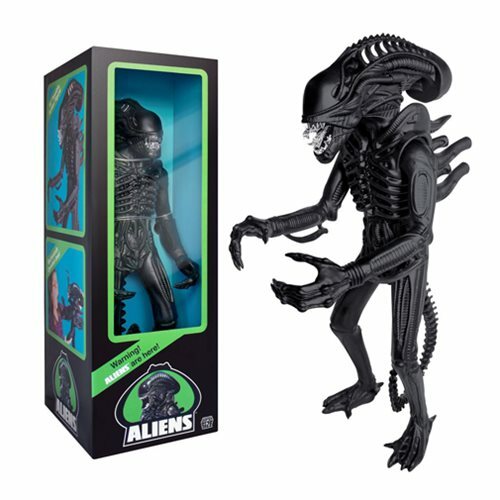 The eerie black of the Aliens Prototype 18-Inch Alien Warrior Action Figure is ready to jump out from the dark and scare your friends! This figure is inspired by Kenner's 1979 Alien monster figure, with awesome double-jaws and a huge body ready to display in any room. You won't want to miss this classic cinema creature with its elongated dome, creepy claws, and bony body. Ages 15 and up.